Therapeutic shockwaves were introduced as medical treatment over 20 years ago for eliminating kidney stones by applying a shock wave from outside of the body. During this early application of radial pressure waves, they found unexpected positive effects of increased tissue healing. 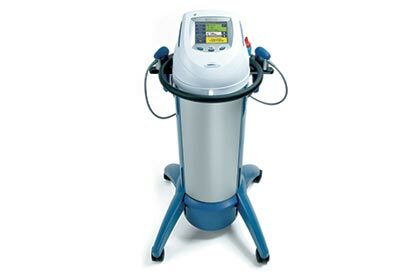 Today the use of radial shockwaves or Radial Pressure Waves (RPW) has been successfully extended to other therapeutic and wellness applications. 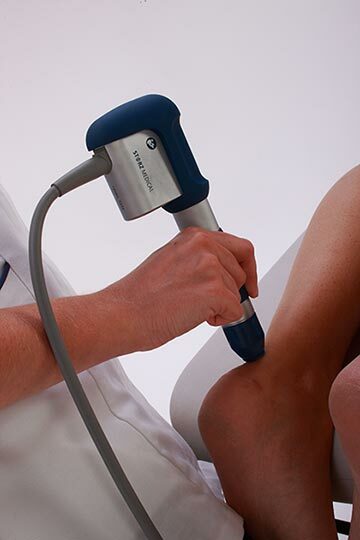 Radial shockwaves or Radial Pressure Waves are introduced into the body by means of a freely moved applicator. The technology used in the equipment works via the compression of air to create shock waves that are sent through the transmitter. These shockwaves penetrate into the tissue and have a direct effect on the tissues directly under the transmitter. 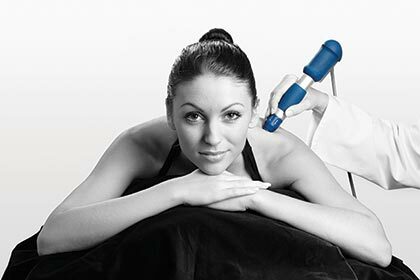 RPW Shockwave Therapy does not utilise electrical currents, magnetic fields or other wave forms such as infra-red waves or microwaves. The intensive pulses from the hand piece help to inhibit the transmission for the pain signal (Gate Control Theory). Shockwaves influence the tissue on a cellular level, promoting the release of pain inhibiting and inflammatory inhibiting substances. It is also believed that RPW waves increase cell membrane permeability metabolically which allows old, damaged and weakened cells to be removed and replaced with healthy viable cells. Repeated Shockwaves influence the blood flow promoting tissue healing and regeneration. 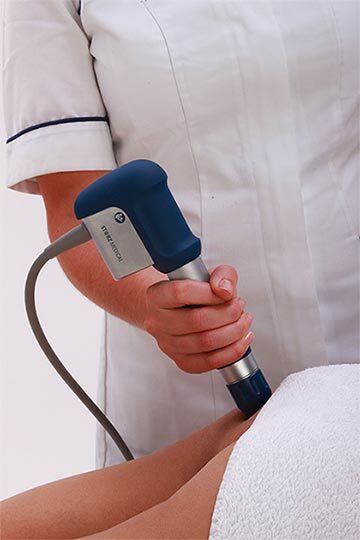 Shockwaves help to restore a normalised muscle tone by action through trigger points as well as via reducing the impact of pain on the nervous system. Side effects could occur after a treatment with Radial pressure wave therapy. The majority will appear after 1-2 days. These side effects usually subside after 5 to 10 days. 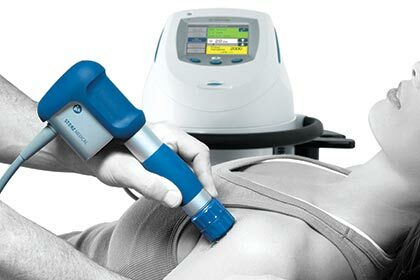 If your physio thinks that RPW Shockwave Therapy is a good treatment option for you, they will start a course of treatments on your specific injury area. The number of treatments may vary between 4-6 depending on your condition and the outcomes. Once the course has been completed, your physio will review the outcomes and decide on any further treatment plans. The length of time of the physical treatment application itself will not exceed the recommended 10mins, but may also vary based on your condition.